Located between Pen-Men and the Pointe du Grognon, Beg Melen is a great goal if you like walking on coastal paths. West of the island, it offers a great view on the Courreaux sea sound and on the continent. 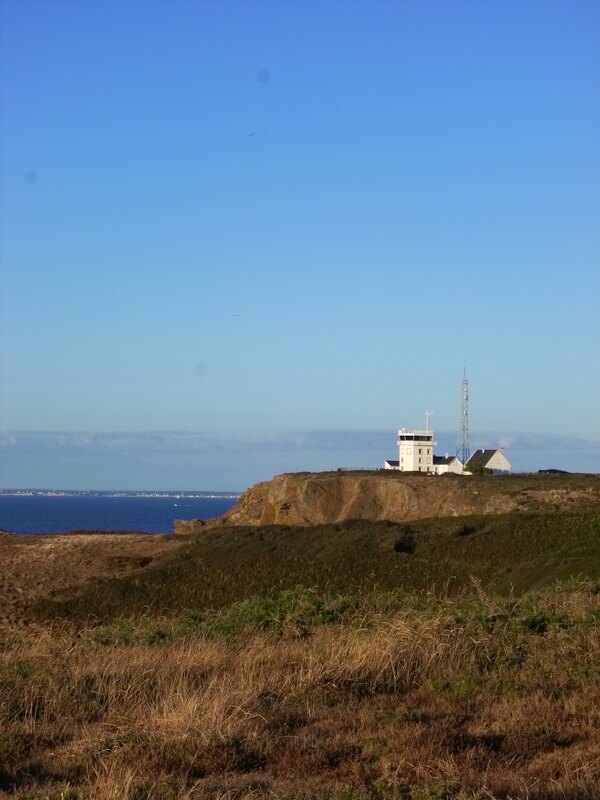 This is why this part of Groix was chosen to build a semaphore. A semaphore is meant to watch the seas and guide the ships. An article written in 1875, when they were largely put into service on the French coasts, explained their role as follows « Every semaphore is an eye – a watchful eye – open on the sea so as to see everything that is going on ». Whatever the season, the path leading to Pen Men, close to the coast, is breathtaking : the walker is surrounded by a luxuriant heath and high cliffs, haven to seabirds. Indeed, this area is part of the François Le Bail natural reserve. Beg Melen and its surroundings are one of the best places to watch seagulls, cormorants and fulmars – among many others. Guided tours are organized throughout the year by the Maison de la Réserve. Depending on the time of the year, the grasses and heath wear various colors : many shades of green, yellow, orange, pink and purple. All in contrast with the ever-changing blue of the sea. Go see for yourself !